Discussion in 'Industry News' started by Blue, Jul 27, 2018. But wait… take AN EXTRA $30 OFF using coupon code SPF30. Go forth and upgrade. Not ready for that much awesomeness? 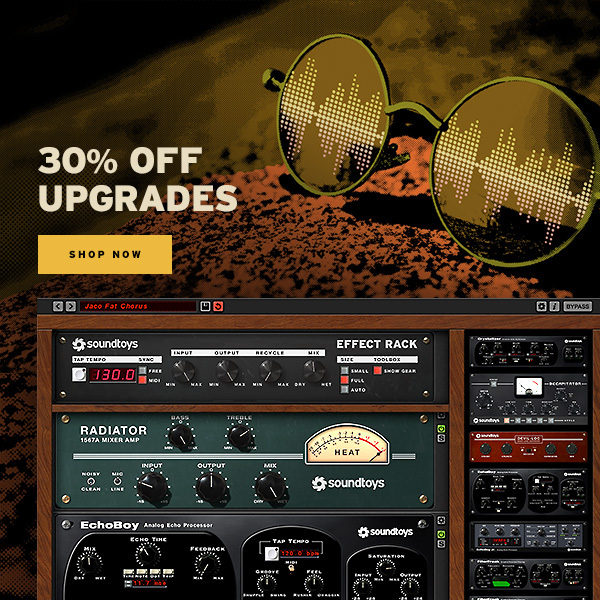 We’ve got some smokin’ deals, including select plug-ins for as low as $29. I would if I didnt already own the lot. Soundtoys owner since 1999. Hook, line and sinker. Them and Eventide have been the best and easiest money I've spent in my digital audio journey. Just saying. No affiliation. Damn happy customer.